We will be limited to 100 members for Spring/Summer sign-up. For more information about your specific pick-up, please scroll all the way down. 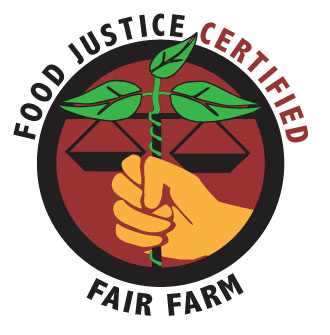 Our produce is available locally through a Community Supported Agriculture (CSA) program. By signing up for this subscription you will become a partner of our farm for the season, enjoying the first and freshest pick of what we have to offer. In addition to the value of your farm share, you will also receive discounts on U-Picks, flash sales, and workshops that we run throughout the year and will have the opportunity to visit the farm and learn more about our seasonal process. Our CSA membership is for people who cook and love whole, fresh food. Each week members will receive what is available according to the season. It is our goal to provide delicious food in a generous amount. We stay away from products that many people are not familiar with, concentrating on things that are great tasting and yield well. We try to grow the best tasting varieties of each vegetable or fruit and also provide you with a diverse product selection. We believe that being a CSA member is not for everyone, as there are folks who do not like to cook new things, or eat with the seasons. We prefer to receive payment in full before the season begins. By doing this you are helping us raise the capital needed for the continuous cycle of planting and harvesting. However, a payment plan is available if you need time to pay off the full amount. As a member of our farm for the season, you will enjoy the benifits of the plentiful harvest and also share in the risk that may come with farming. This means that when there is plenty and we can afford to put more into your weekly share bag. We will, however, in the unlikely event of a weather disaster there may be a time when there is not much to offer. This has not happened in the past, but organic farming is a process of working with nature which can be unpredictable. 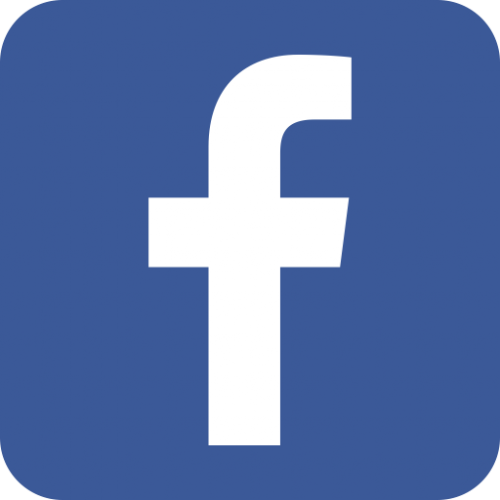 We offer several member types, Double Shares, Family Shares, and Mini-Shares. Our most popular membership type is the Family Share: a weekly share of 8-10 different items, depending on the week and what is growing well. Saturday at the Alachua 441 market 8:30am-11am. This pickup is at capacity. We offer a $50 discount for members who pay in full. If paying in full please do so at the time you sign up. If paying in full by check, please send your check as soon as it's convenient for you. We offer a $25 discount for members who pay in full. We understand paying in full isn't feasible for all, so we offer a monthly payment plans for those that need to pay in installments. The first payment for those on the payment plan is $150. After paying the down payment, you can login to your account and go to the 'Make a Payment' page. There, you are given the option of paying 100%, 50% or 25% of your outstanding balance. We ask that you do this as soon as it's convenient for you. If you miss a week, we won't have a double share waiting for you next week. If you miss your pick-up and you can't pick it up at the farm that week, you will forfeit it. If you know you will miss a pick-up we will happily make a box for you to pick-up at the farm, but please let us know ahead of time. We pick based on the families we expect to pick-up, so help us keep your food fresh and let us know ahead of time. 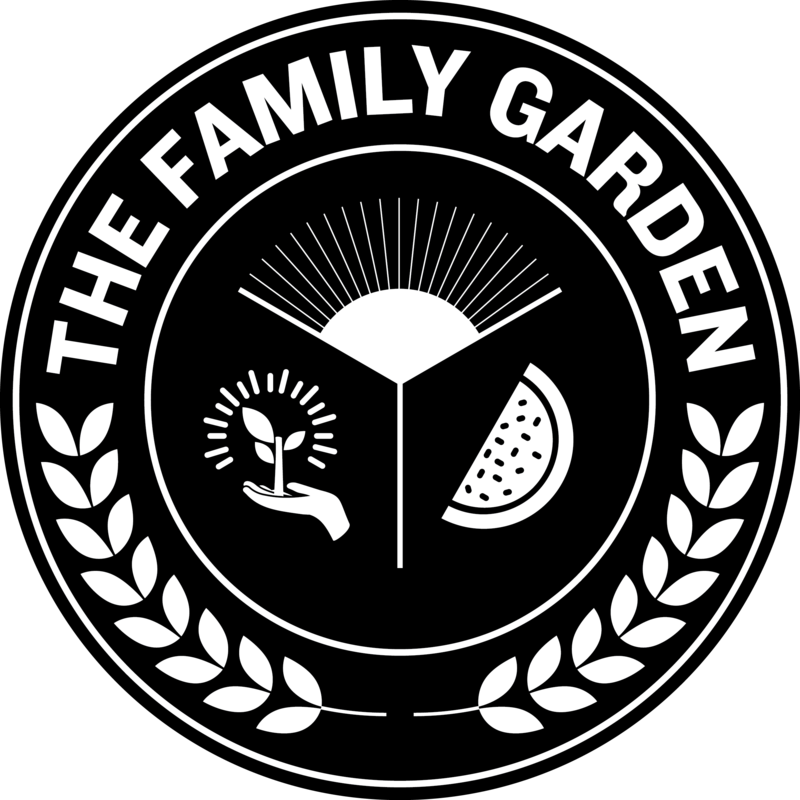 If you miss your pick-up and would like to donate your share Please email us at info@thefamilygardencsa.com and we will help get the box to a family in need. ALL MAKE-UP SHARES MUST BE PICKED UP ON FARM. WE DO NOT OFFER MAKE-UP SHARES AT OTHER PICK UP LOCATIONS. We take off for two weeks throughout the season, they vary based on the pick-up location. Please look below for your particular breaks. Our family is in business to grow great food for you. Lets work together, each of us being mindful of each others needs and this will be great for both of us. Below you will find details about your individual pick up location & answers to common questions that arise throughout the season. Gator CSA will begin Thursday October 25, 2018 from 4:30-6:30pm. 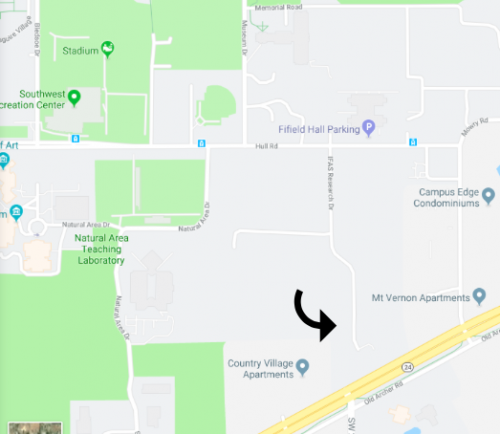 Pick up location is located back at the agronomy fields in front of the Field and Fork building. 2024 IFAS Research Drive, just south of Hull Road. Click here for the Google Map. Please bring at least two bags at pick-up. You will select the farms harvest and use your own bags for transport at this pick-up location. 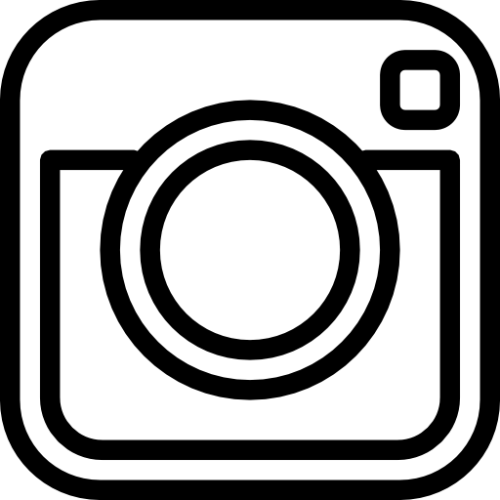 The CoM drop will begin Friday October 26, 2018 from 2pm-4pm. 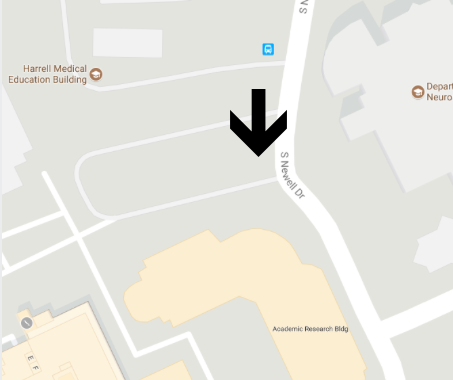 Pick up location is just in front of the HMEB. Click here for the Google Map. The Tonewood drop will begin Friday October 28, 2018 from 10:30-12:30pm. This is a new location close to Buchholz HS, we think it will work out well! Click here for the Google Map. On farm pick-up is our most convenient pick up location as you can come anytime between Friday at 4pm-Sunday night to pick-up your share. The first pick up weekend will be Friday October26 until Sunday October 28. The address to the farm is 1655 SE 23rd Pl. Gainesville, FL 32641. 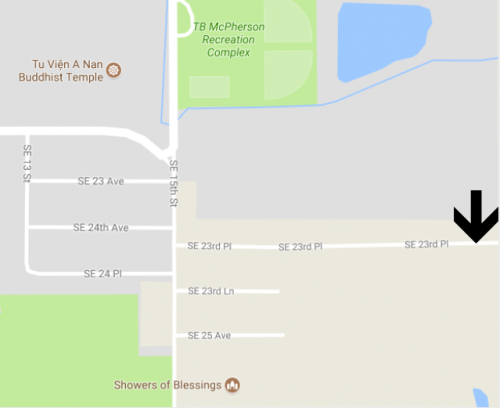 You will turn left onto SE 23rd Pl from SE 15th and drive through a small neighborhood. Go to the end of the road and continue on the dirt road where you see our farms harvest growing on the right. Take the first gravel road to your right where you see our farm sign and park where the parking signs are. Walk into the largest packing house and go to the end where you will find a large silver door. This is our walk in cooler and your pre-boxed share will be to your immediate left under a sign that says CSA. Please check for notes on the board next to the cooler and cross your name off of the list. Click here for the Google Map. This share is pre-boxed for your convenience. Please return boxes for re-use at the next pick-up. 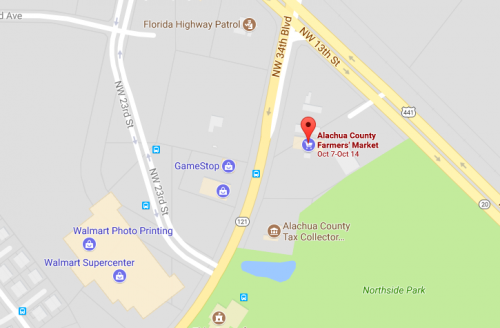 Alachua County Farmers Market CSA will begin Saturday October 28, 2017 and pick-up time will now be 8:30-11am. Please be sure to get your share before 11am. 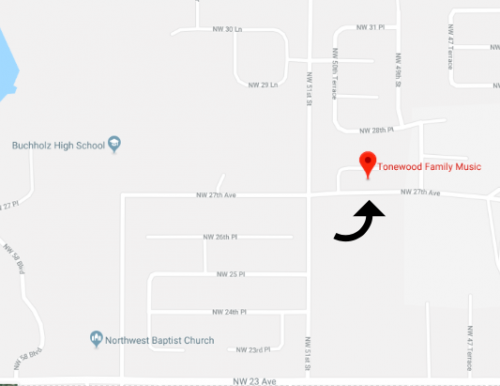 Address to the market is 5920 NW 13th St. Click here for the Google Map. 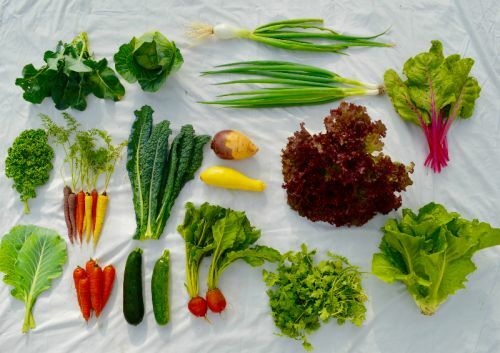 We pick your share the day you receive it, so you receive the freshest harvest from our farm. 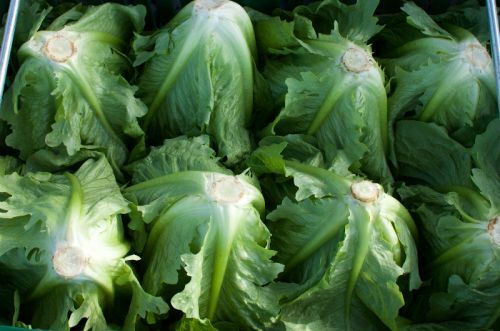 Certain items like lettuce and other leafy greens and herbs need to be wrapped in a plastic bag and stored in the crisper so they don’t get wilty. Also, root vegetables like to be in a bag and stored in the crisper too- these will last for a month or more if stored properly. If you receive your fruit (including tomatoes) in a paper bag keep it in the bag on the counter until its ripe, then move to the refrigerator to lengthen its shelf life. Strawberries don’t like to get wet, so only rinse what you are going to eat and let the rest stay dry. NEVER put basil in the fridge. More tips will be shared throughout the season on how to process your food in a way that lengthens its life and quick tips for processing herbs and more. You are always able to bring payment (preferably check) to your pick-up. We will process it just the same as if you mailed it to the farm. GOING TO MISS YOUR SHARE? Each week we pick with you all in mind, if you miss, the food goes to waste. Help us sustain our labor costs in picking and packing by letting us know ahead of time (preferably, at least a day before your pickup) if you will not be able to make the pick-up that week. If you miss your share without giving us notice, unfortunately you'll miss that week. We know things come up, so let’s communicate so no food gets wasted. If you know in advance that you will miss a week, you are always welcome to give your share to a friend or donate it to a family in need. There's no need to let us know if a friend or family member is coming to pick up your share. If you'd like us to donate it, please just email us 3 days in advance so that we can make arrangements. If you know you will miss a pick-up we will happily make a box for you to pick-up at the farm, but please let us know ahead of time. We pick based on the families we expect to pick-up, so help us keep your food fresh and let us know ahead of time. If you miss your pick-up and would like to donate your share, please email us at info@thefamilygardencsa.com and we will help get the box to a family in need.